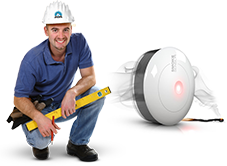 We specialize in emergency water damage restoration in Chicago. Call our trusted by hundreds experts today to get your problems solved asap! Got flooded? Let our flood damage restoration experts in Chicago clean and dry your home immediately. Call us today for immediate flood damage removal estimate! Flooded basement is no more a problem! We will extract the water, dry and clean your house. Call us today for immediate basement water extraction estimate! We provide specialized structural drying services in Chicago. Our technicians will immediately get to your place, just call us and we'll get your problems solved! When your home or business suffers water damage from a flood, storm, or other disaster, you need immediate professional help. In just minutes, your property can sustain permanent, costly damage. In fact, the longer you wait to take action, the worse the damage and destruction. A delayed call for help can also put the health and safety of building occupants at risk due to the increased potential for mold and mildew to grow. Call the experts at All Flood & Fire right away at (847) 202-0231 for whatever emergency water damage restoration and cleanup services you need. 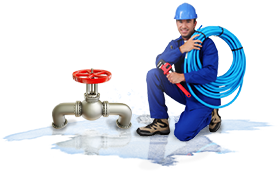 We offer a full range of residential and commercial water remediation services and have been serving satisfied customers in Chicago and surrounding areas since 1996. Our certified technicians are available to perform water damage restoration and cleanup 24/7, 365 days a year. We do what it takes for your family and business operations to get back to normal as quickly as possible. All Flood & Fire is licensed, bonded, and insured, and our technicians are IICRC* certified, which means they possess the expertise to properly handle any type of flood damage you may have sustained. Our well-equipped fleet of trucks contains state-of-the-art professional-grade water extraction and drying equipment, all ready to handle any flood damage situation. And, we work with your insurance company and facilitate the claims process for you by photographing the entire area that sustained flood damage and documenting our water removal and restoration process to make sure you receive maximum benefit for the damage suffered. All Flood & Fire technicians use truck-mounted state-of-the-art, industry-grade equipment. Our fleet of trucks is clean, modern, and fully equipped to handle any emergency water situation. We work with you to facilitate insurance claims by taking photos of all damaged property and belongings and fully documenting our water restoration and cleanup processes. We want to help you get the best and most timely insurance settlement possible. I consider your techinicians outstanding respresentatives for your company. Excellent customer relations, polite, cooperative, helpful and all other rave adjectives. The men were the best I could remember. I have no reason to think that the workmanship wasn't tops.